Web pages are displayed with the help of browsers, most popular ones being Google Chrome, Internet Explorer and Mozilla FireFox (on Windows based systems). While the majority of browsers give you the option to save the web page you're visiting, because of the format that is being saved in it is sometimes difficult to send the web page for someone else to review or even store it on your computer for future reference. This is where converting a web page to a PDF file might prove handy. Just as you would print to a normal printer, you go to File->Print select novaPDF and voila, you have converted the web page to a PDF file. 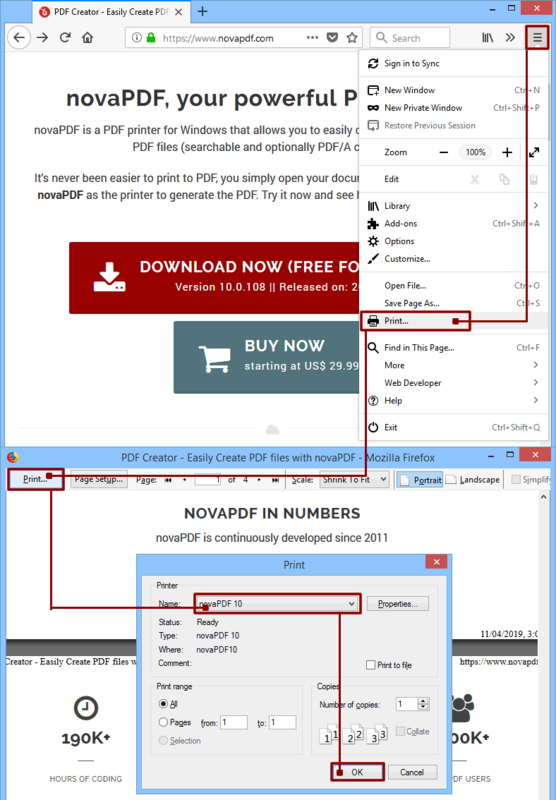 novaPDF will ask you to choose where you want to save the PDF and allows you to set other options. Newer versions of Chrome include a Save to PDF option, however that option is limited in comparison with what novaPDF offers. Note: When converting the web page to PDF it's possible that some background images do not show up in the PDF (but they are on the web page). To correct that, in the Print page that opens after you click on Print, check the option Background Images. In the Print Preview window press Alt+E or click on Turn headers and footers on or off. You'll see in the Preview section how the header/footer text is removed. 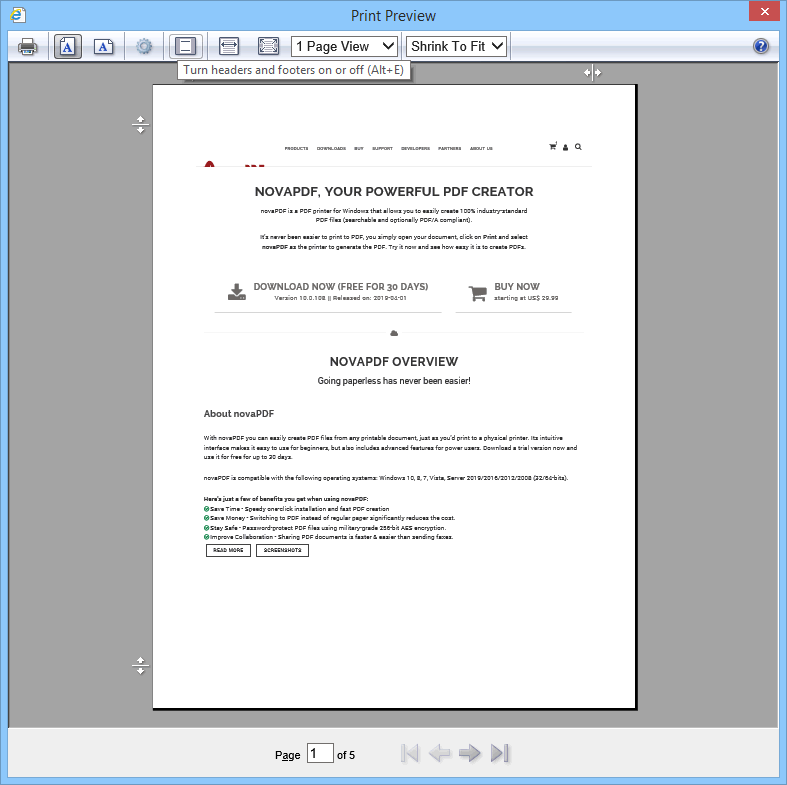 Close the Print Preview window and create the PDF file without the header/footer. 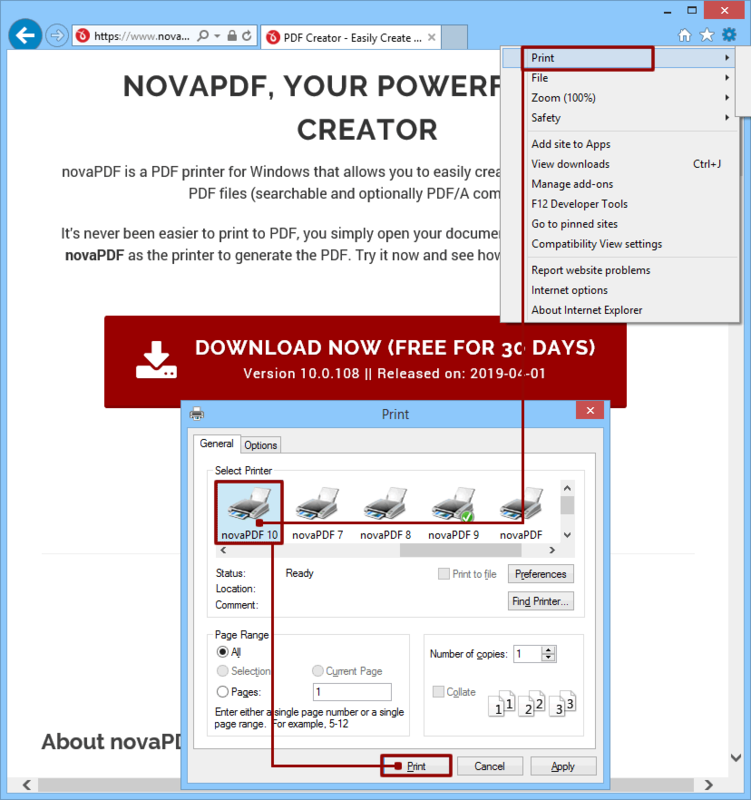 Before creating the PDF file you can adjust novaPDF's settings by using the Preferences button. Also, for websites using frames FireFox offers an option to print each frame separately, only selected frame or as viewed. Click on OK and choose a location where you want the PDF file saved. 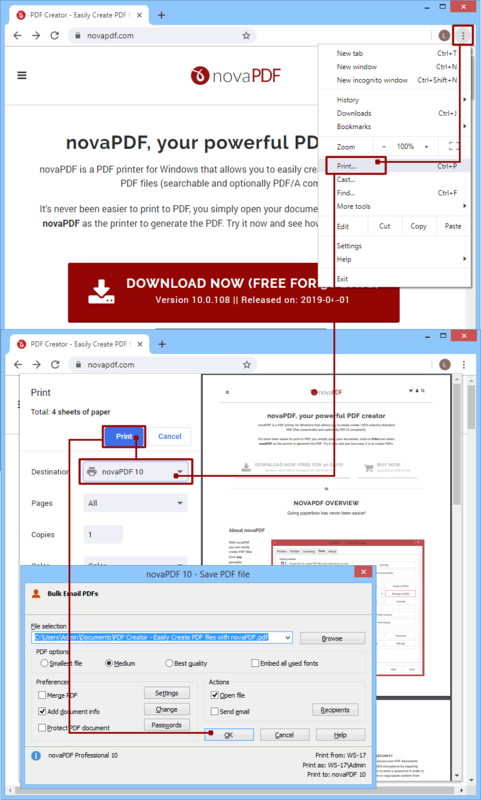 After the PDF is created it will be automatically opened in the default PDF viewer. After you hit Print in Firefox, the Print Preview window will show up. Click on Page Setup. 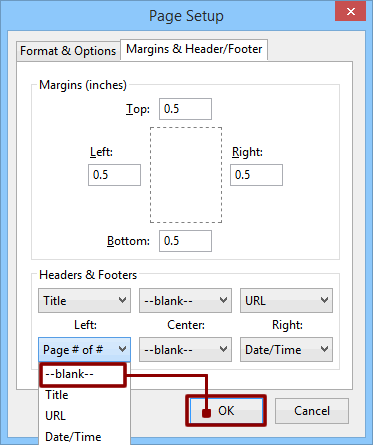 On the Page Setup window, click on Margins & Header/Footer. By default, only in the Left/Right Headers & Footers section there will be something selected, so you have to choose --blank-- instead of what's selected if you don't want that information to show up. Click Ok and then create the PDF file. No header/footer information will be included. Note: When converting the web page to PDF it's possible that some background images do not show up in the PDF (but they are on the web page). To correct that, in the Print Preview window click on Page Setup and then thick the option Print Background (colors and images).